We finally managed a holiday this year, the first in 2015, and only five pitiful days in length. For obvious reasons our priorities have changed and time needs to be carefully organized and compartmentalized! 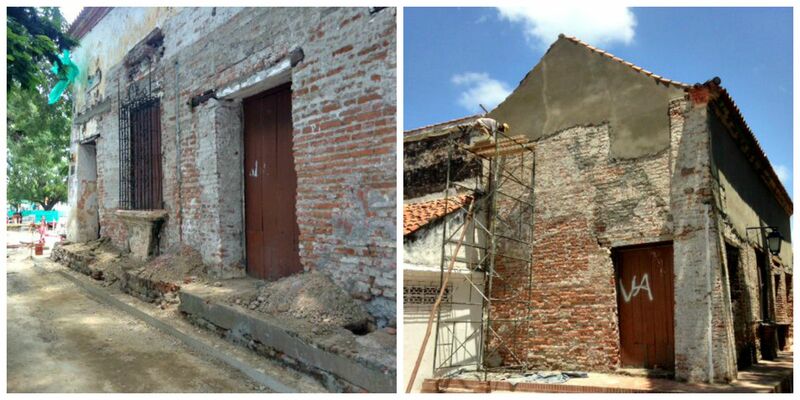 But, what can I say, we also skipped off to Mompos for a few days to check in at the Casa Amarilla and to see how some essential restoration works are progressing with our Casa San Rafael or Mompos House No.3. 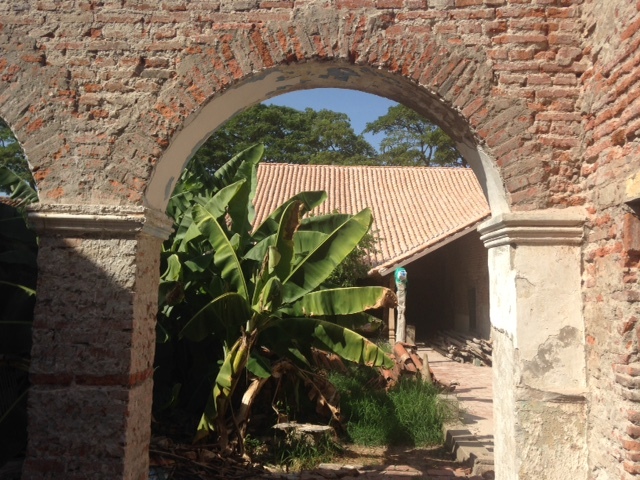 The San Rafael house found on the corner of the Albarrada (in front of the river) and the corner of the Plaza Santa Barbara – exactly across the square from the Casa Amarilla – has been a long work in progress. More will be explained and described in “the Mompos Project” but, rest assured, three years of legal wrangling over property titles, some shady deals done in the past by former owners and further strife have left us wringing our hands and shaking our heads on many an occasion. So, it has been slow going. San Rafael, so-called as it is located on a stretch of the Albarrada known as the Albarrada de San Rafael, is perhaps the most imposing and opulent house in Mompos and the lot measures over 1000m2 of colonial ruin. The task of restoring this monster is quite tremendous and overwhelming. But, it’s heavily in our favour that we know our workmen well and over two houses have been able to put together a robust team of architects and hard-working able-bodied Momposinos. Since the house is quite daunting and some of the rooftops are up to 17m in height it’s important to go about this project of Mompos House No.3 in a measured and careful manner so not to get carried away and keep an eye on expenditure which could very easily spiral out of control. Empty for more than 30 years when we took the Casa San Rafael it must have been home to a large portion of Mompos’ bat community, thousands of pigeons, vultures and who knows what else. I know that the immediate neighbours are happy to see work underway as this will inevitably lead to less wear and tear to their homes from plaga. One neighbour even stopped by to point out where, as a young boy, he used to sit and watch episodes of the Flintstones (los picapiedras in Spanish) in black and white on the town’s first television. 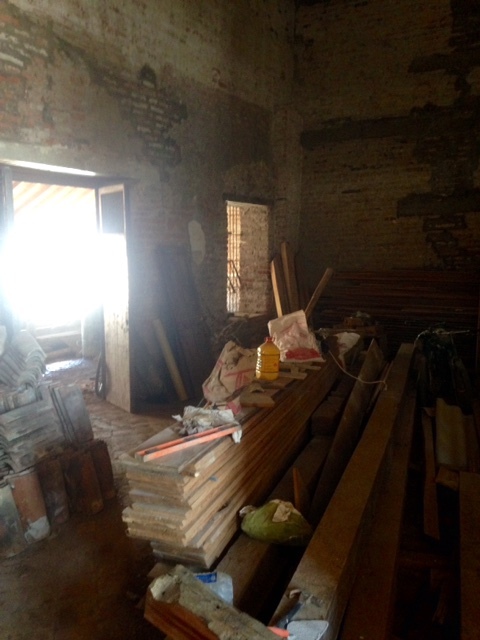 As we stripped back the layers of plaster and ill-advised coats of paint we have found architectural anomalies, hidden archways which have been bricked over, bodegas, former spaces for safe boxes and perhaps the most interesting item, a splay of cement used to seal the well which was closed up on September 20 1977. How coincidental that it should have been sealed on my first birthday. Should I read something into this? This entry was posted in Journeys and tagged casa amarilla hotel, Casa San Rafael or Mompos House No.3, la casa amarilla hotel, la casa amarilla mompos, magdalena river, mompos, mompox, the mompos project. Bookmark the permalink. Congratulations on the purchase of your third Mompos house. I'm intrigued that you had to do three years of legal wrangling over property titles. Care to share more about this? 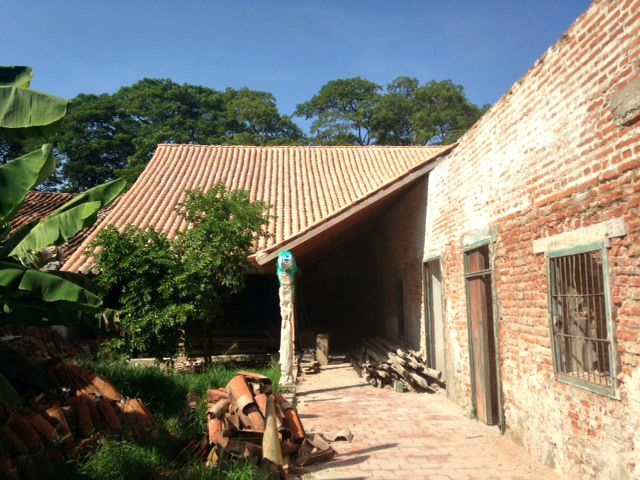 I am thinking about buying a house in Colombia. I have been told by many Colombian people that it is not necessary to hire a lawyer for legal assistance in buying a property. I have been baffled by this. I would greatly appreciate if you can offer all the advice especially to how to tell if the property titles are legit, and how to spot shady deals. Thank you Ian, there were all sorts of issues with the paperwork. If you have any doubts at all, hire a lawyer!